The Lagos State Government has formally requested the return of an important sculptural woodcarving, known in the UK as the Lander Stool, from the British Museum. The sculpture was believed to have been taken from Nigeria in 1830 by one of the earliest known explorers of the interior, Richard Lander, one of the precursors of the colonisation of Nigeria by the British. The request by the state government comes at a time its construction of a new cultural facility in Onikan, Lagos, the John K. Randle Centre for Yoruba Culture and History nears completion. It also follows the appointment of international exhibition designers Ralph Appelbaum Associates (RAA) and architects, SI.SA. Lander, a recipient of the Royal Geographical Society Founder's Medal in 1832, was a renowned figure in the UK. He would later die a musket ball wound, after he was shot by the natives their territory during his final trip through the South-west region. 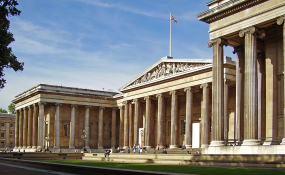 The formal request by the Lagos State government was delivered to the British Museum recently by the Lagos State Commissioner for Tourism, Arts snd Culture, Steve Ayorinde who represented Governor Akinwunmi Ambode at a two-day symposium on emerging museum projects in Africa at the British Museum. Edo State Governor Godwin Obaseki, who also attended the event, announced the intention of his government to formally seek the return of some Benin Bronze artefacts from various British museums once it has completed its new Royal Museum project. Both Lagos snd Edo States were joined by Ghana at the colloquium to outline plans for their various new museum projects. Out of the three parties, only Lagos is ready with the J.K Randle Centre, which has reached 85% completion stage and is slated for unveiling in May before Governor Ambode leaves office. "The J. K. Randle Centre," according to Ayorinde is a world-class cultural institution "that will enable the Yoruba people to reclaim their heritage from a colonial narrative, and present for the first time a high standard cultural and resource centre for millions of people in the state."